"A treasure-trove of useful, well-organized information on sea-going parenting." Choosing a boat that is right for your family; handling the naysayers; keeping your children safe, healthy and entertained afloat--this inspirational and comprehensive guide may be just what you need to turn your dream into a reality. 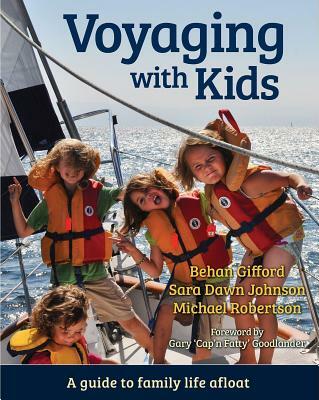 The three authors, who have each voyaged thousands of miles with children on board, provide a factual and balanced look at the realities of life on the sea. From their own experience and with information from interviews with dozens of other voyaging parents, they discuss caring for an infant on board, handling the changing needs of children as they grow, education options, ensuring parents find the private time to keep their relationships in tune, and helping children make the eventual transition back to shore life. Added to the authors' voices are sidebars from other cruising parents with specialized information on subjects as diverse as handling special diets and how your children can keep in touch with friends around the world. A unique bonus chapter, written by a dozen former cruising kids, looks at the long-term effects of breaking away from shoreside normalcy. A substantial appendix of resources provides invaluable further information on every subject covered in this book. It is said that every parent inflicts their lifestyle choices on their children. Read this book to find why heading out to sea with your children may be the most rewarding infliction of all.